In homes across the United States, something special has been occurring. Way Ministry believers and their guests have been gathering together to enjoy the Way Productions 75th Anniversary Showcase DVD in their local areas. 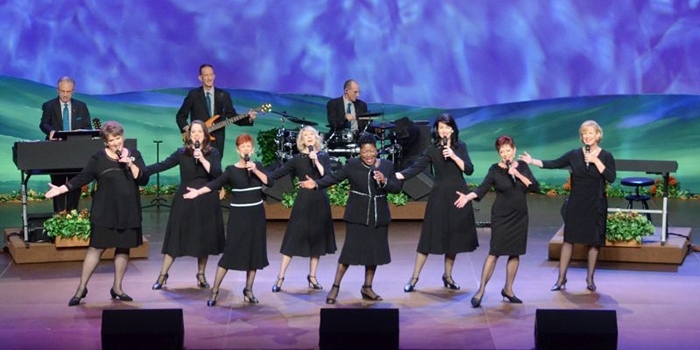 This musical showcase was first performed live on September 30, 2017, at The Way International’s Seventy-fifth Anniversary celebration in New Knoxville, Ohio. The songs performed in the showcase reflect The Way Ministry’s rich heritage and present-day passion to keep God first, to understand the Bible, to love God’s Word, to live as sons of God, and to walk in the way of abundance and power. What a rich and precious heritage we have! The same heart and passion for the Word continue to shine through in the Way Productions songs and music from each generation. The songs and performances helped us bring our thoughts back to the Word of God and continue to recognize the deliverance available because of the sacrifice of Jesus Christ. I laughed, I cried, I clapped, I danced in my chair; what a wonderful recap of music throughout our ministry’s history. “I took a class on the Bible that taught me the keys that unlocked the Scriptures once hidden to me; I learned truth about life and God Who loves me….” How important it is to share with others about the class so they can see God’s love. No matter how your day has gone, when the Word in music is performed as we just saw, your heart is softened and ready to receive the Word. I was reminded how the Word in music by Way Productions has helped me over the years to stay strong, confident, and bold in living the Word even in the midst of challenging situations in my life. It blessed me and made me appreciate being a part of the seventy-five years we celebrated. This is our ministry and we can have an impact! It was fun to see the history of this ministry through music. The music is timeless because it is written about the Word; God’s Word is always needed. Although the songs, the styles, and the performers have changed over the years, it’s comforting to know the topic and the message are still based on God’s Word. It is so evident that God has and will continue to work mightily in all of our lives as we stand, believe, and stay faithful to the Word of God. We have come a long way in seventy-five years. And it’s still “The Word of God is the will of God.” I am very excited about living for God. Those who have enjoyed the Way Productions Anniversary Showcase are inspired, uplifted, and encouraged to keep living the Word that they love, 75 Years and Onward. If you’d like to be blessed and uplifted by the Word in music, visit our Multimedia page and enjoy encouraging songs that will inspire you with the greatness of God’s Word!